Posted by judylobo in Animal Video, Baby Animals, Big Cats, Nature, Orangutan, photography, Wildlife, Zoo. Last weekend found us traveling south to the always enchanting, Philadelphia Zoo. They have had a delightful baby boom. 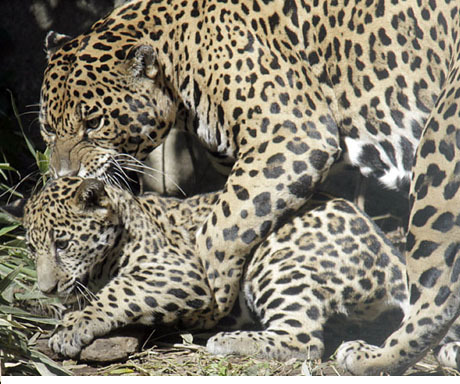 We only got to see the adorable jaguar cub but that was plenty of cuteness for one trip. We will return soon. Check out my video of Baby girl Batu, born in October of 2009, at three months old. Her mother is called Tua and father is named Sugi.